I claim myself to be one of the painters who succeeds well in producing extremely close resemblance in portraits. I owe this accomplishment . . . to the fact that I always try to give a maximum of fullness and relief in my pictures. A master at capturing sitters in fleeting moments of informality, Jean-Étienne Liotard depicted this unknown sitter possessed with a remarkable degree of warmth and depth. She leans back slightly and sits with her hands casually folded in her lap, gazing to the side. Liotard's delicate application of white chalk records the details of her flounced sleeves and ruffled collar, and beautifully highlights the subject's attractive features. 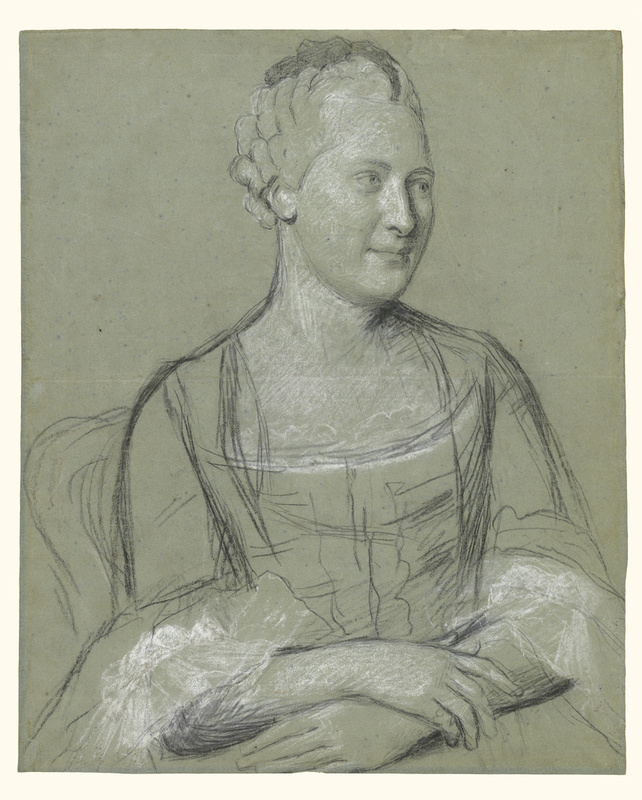 Liotard likely made this drawing in preparation for a pastel; the broad application of chalk indicates that Liotard made it as a kind of rough draft. The drawing remained in the artist's studio and with his family until well into the 1900s. Most likely, Liotard kept it as a record after the finished pastel left his studio, though no other such work featuring this sitter is known.